Here at IDG Advertising, we believe that social media is rapidly growing as a form of digital marketing, and it’s important to keep up with the latest branding trends. That is why we are always looking to see how we can improve our social media marketing strategy by looking at other brands who are just doing an AMAZING job with their social. 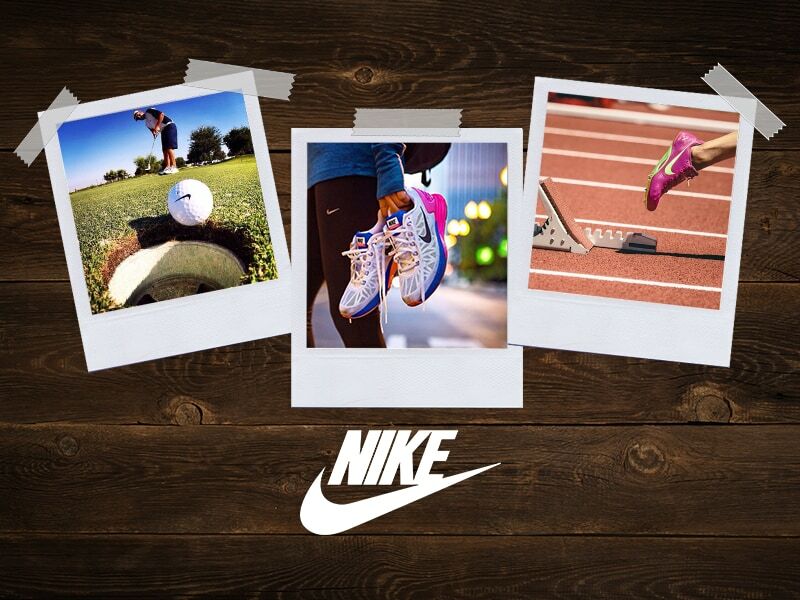 This month, we’re giving a shoutout to Nike! Nike is the world’s largest supplier of athletic apparel and shoes, as well as a major manufacturer of sports equipment. The company is best known for its Swoosh logo, its slogan, “Just do it,” and for sponsoring many high-profile athletes and sports teams. Nike has a wide variety of popular product series, such as Air Jordan, Nike Skateboarding (Nike SB), and Air Force 1. In addition to the Nike brand, the company also has reputable subsidiary companies like Hurley International and Converse under its wing. How Did We Discover Nike? Our team here at IDG has always been a fan of Nike for their quality activewear. When we were looking at their social media profiles, we were inspired by their branding intentionality and how simple it was. Nike does not post a lot, but when they do, their posts are true to their brand and have a purpose that entices their audience. How Well Does Nike Know Their Audience? Nike doesn’t just target athletes, but also people who are active or want to be active. They reach their audience by sharing stories of others who have been told that they couldn’t do something, but they just did it anyways – hence their slogan “Just Do It.” Nike knows its audience wants to feel empowered and inspired, and that is what Nike does with their posts. What Can You Take from Nike? Since its inception, Nike has never been afraid of taking risks and standing out from the crowd. Their branding is incredibly strong in everything they do, and their social media game is no exception. Here are a few things we can learn from Nike. Have Purpose. Nike is very intentional with each of their post, which may be why they don’t post a lot. Each post has a purpose that goes beyond just selling their brand. This tactic doesn’t work for everybody, but it is worth trying to see if your brand would benefit from this. Empower the Audience. Nike aims to encourage and empower everybody to be active, and they do not discriminate against anyone. No matter the person’s gender, age, size, or race, Nike enables its audience to “Just do it.” Using the stories and testimonies of those who were told they “couldn’t do it,” Nike encourages their audience to defy what holds them down. For your brand, find ways to engage with your audience and motive and empower them to use your brand. Representation Matters. One of the first things we noticed is how diverse the people in the posts are. People of all ages, body-sizes, ethnicities, and gender are featured on their profiles. This shows that Nike knows their audience and that they don’t have one standard for who an athlete is. Stay tuned for another social shoutout next month! If there’s a brand with a killer social media game, don’t hesitate to let us know because we’d love to check them out!